Back in October, Larry Page proudly declared that Google's mobile products would generate $2.5 billion in 2011. 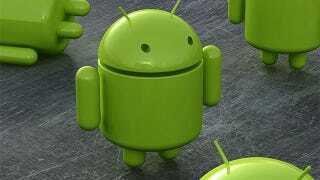 The Guardian reports, reports that Android accounts for a just a tiny fraction of that number. Google's iOS products contribute way more to Google's bottom line. But while some people interpreted that to indicate Android revenue, it overlooked Google's deal with Apple, in place since the introduction of the iPhone in 2007, through which it provides maps and the default search engine for its iPhone, iPad and iPod Touch products, which run Apple's iOS software. Apple's chief executive Tim Cook said the company has sold 315m iOS devices, though nearly half of those have been sold in the past year.